What Factors Affect Residential Propane Prices? You’ve most likely noticed the ever-changing prices at the gas pump. One week, the prices are low. Next week, you may see a meteoric rise. You may be wondering whether gas prices affect the price of propane. You may also be curious to know what does affect residential propane prices. There are a few factors to consider when it comes to propane prices. When the price per barrel of crude oil begins to drop, you’ll notice lowered prices at the gas pump shortly after. What about propane, though? 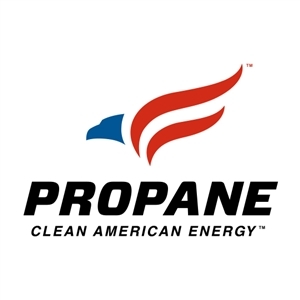 Propane is, after all, a by-product of crude oil and natural gas processing. Most propane is produced at crude oil refineries. Regarding price, crude oil has a considerable influence on the price of residential propane compared to, say, natural gas. So, if the price of crude oil begins to drop, you may experience some savings over the short-term. We all learned about supply and demand in school, and the rule hasn’t changed. The demand for propane weighed against the current supply affects the total cost you can expect to pay. During the summer, when heating systems take a much-needed break, you may notice the price of propane lowering. However, during a long winter, more homeowners require propane refills. As such, the price may increase. The proximity of your propane supplier also plays a key role in determining the cost. The farther the truck must travel, the more you can expect to pay. If, for example, you live near the propane facility, expect generally lower prices. Direct delivery from a refinery may take a longer route to reach the consumer. Transportation costs can inflate or deflate the overall cost of propane. For efficient propane services, contact Northwest Propane by calling 800-274-6121. We’re happy to deliver on-time direct to your home!